28 Days. Complete 4 Games. 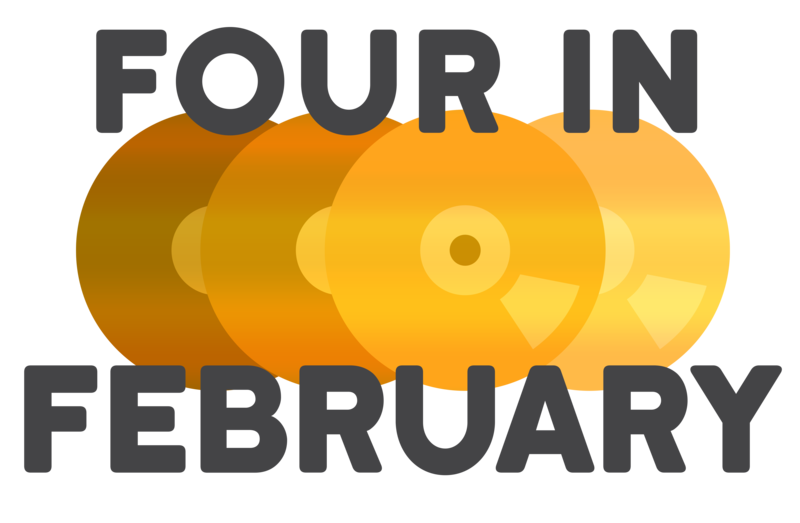 An annual tradition started by the now-defunt Joystiq, Four in February is a challenge to finally play a few of those games that we all just have lying around collecting (virtual) dust. The goal is to complete four games during the month of February. I attempted it last year and came close. I successfully completed three games: Rise of The Tomb Raider, Far Cry 4, and Strong Bad’s Cool Game for Attractive People. I think I would have met the goal, had I not been sick for almost a week! I’m going to give it a try again this year. Check out my picks below! I also plan on streaming as much of my attempt as I can, so I’ll update the information below with archives of the streams as well! Yeah, season 3 just came out. I’m a season behind, which is all the more reason to fire up season 2 and play it! I “enjoyed” season 1 (as much as you can enjoy a story like that), so I don’t know why I haven’t gotten around to playing season 2 yet. I recently picked it up when it was free through Twitch Prime though, so there’s no more excuses. It’s time to enter this tough and depressing world again. This is a short one. I’ve heard it only takes one sitting to complete, but I’ve also heard nothing but good things about it. This is one that’s been sitting in my library for quite some time, but I just haven’t taken the time to play it. I’m going to finally fix that. Image from the game’s website. I’ve actually played about 4 hours of Darksiders II before, but then I just never came back to it. I remember thinking that it scratched the same sort of itch that the Legend of Zelda series did for me, so I think it’s time to give it another go. I’ll be starting over since I don’t really remember anything about the story or how to play the game, plus I’ll be playing on the newer Deathinitive Edition as it will hopefully be a little more compatible with Windows 10 than the older version. This one’s my long pick, as I expect it will take up to two weeks to complete. Image from THQ Nordic’s website. That is why Undertale is my final pick for Four in February. I attended AGDQ 2017 a few weeks ago and was in the room for the Undertale run; the finale of the marathon. It looked pretty good, but when you’re skipping so much stuff, you don’t get a good sense of the story. So it’s time to play this game. I don’t even own it yet; I’m going to buy it specifically for this. I’ll be streaming as much as possible while playing these games, so watch on my Twitch channel! I’ll also be simultaneously streaming to my YouTube Gaming channel, so you can watch there too!